If you have any older, incandescent hoods, you probably are aware that the standard bulbs used in these hoods generate a lot of heat and don't last very long. Worse, the quality of light from incandescent bulbs is harsh and doesn't make your fish look good. There is an easy solution . 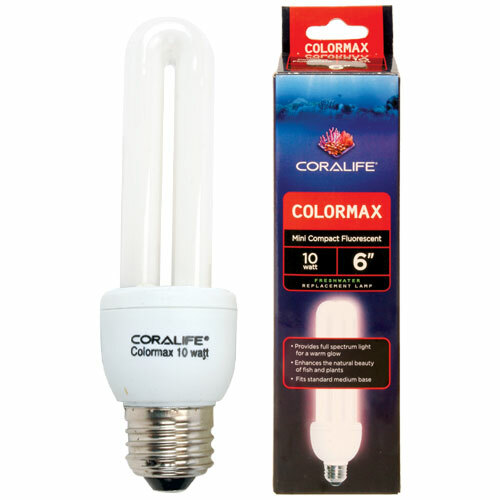 . . the Coralife Colormax 10 Watt compact fluorescent bulb which is about $9. How many cichlid hobbyists does it take to screw in a light bulb? Fortunately, just one . . . me! I had an old incandescent 5-gallon hood that came with a cheap boxed aquarium set and the light was certainly harsh and too hot. Changing this out to the Colormax was easy. The new bulb has a standard screw-in bulb base. Just unscrew your existing lightbulb and screw in this fluorescent replacement. Once I had the bulb in, I was very pleased with the appearance of the fish and the tank. 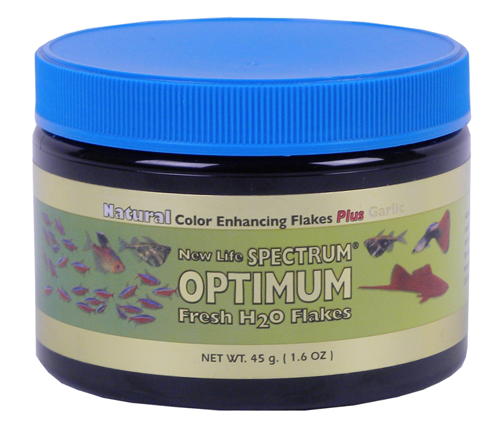 The color looked natural and I even think the fish looked a bit happier. The packaging states that this bulb "provides full spectrum light". I don't have a light meter, but it looked darn good to me. If you are looking for a way to get better results from that old aquarium hood, give the Coralife Colormax 10 Watt compact fluorescent bulb a try.